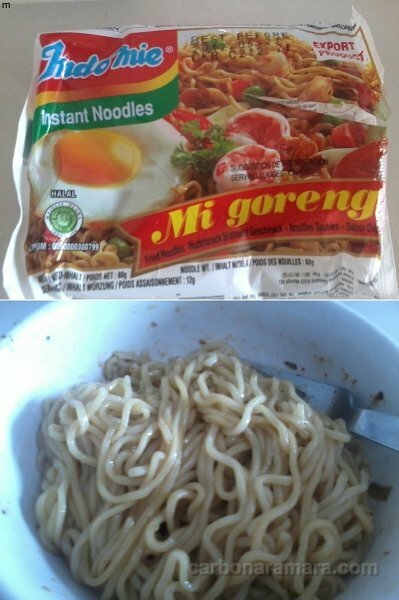 Been trying a bunch of Indonesian instant noodles this month, after I came across this post by The Ramen Rater, where 3 of the top 5 on his list were Indonesian brands. Instant noodles featured in this post I bought in the international food store/deli downtown. 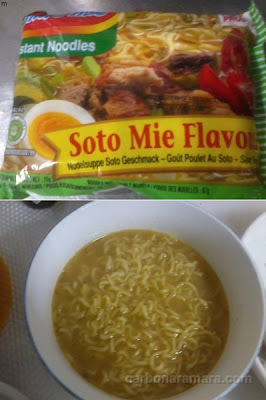 This tasted like a spicier version of the regular instant chicken noodle soup I grew up with. The 2nd time I cooked this, I omitted the chili packet and the soup tasted exactly like the Lucky Me/Payless instant chicken noodle soup back in the Philippines! I had tried instant noodle soup from this brand last month (bought the March pack in the Asian food store near NAF Atsugi and I posted about it here); this time I tried a pack of their fried noodles. This particular pack was sweetish and a bit spicy with some peanut-y flavor. I liked it. This was spicy. Ronjie ate this pack while I just took a forkful. 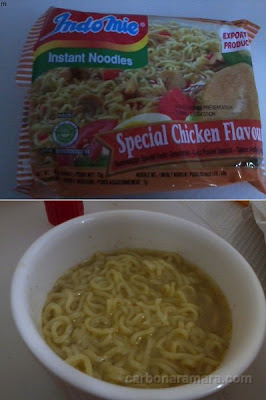 Spicy instant noodle soup with some hint of lime. Ronjie had this too and I just tasted a bit from his bowl. 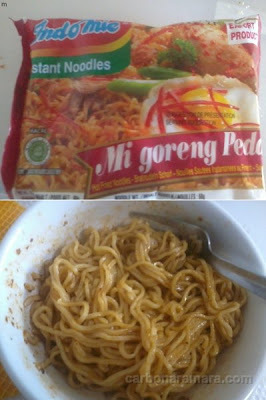 Next time I'll try making this without adding the chili powder packet. All this Indonesian instant noodle talk made me remember that I had a bunch of unposted Indonesia-related photos in my files. Isama ko na lang din dito! 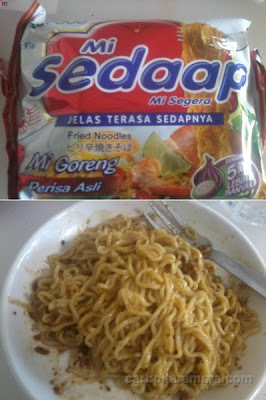 These are some stuff which my brother brought back from a business trip to Jakarta a few months back. This bookmark I received as pasalubong from my Jakarta-based friend Tin who was also in Manila for the Christmas holidays. It's made from animal skin!